In developed countries, obesity is becoming an increasingly prevalent condition. It can lead to hypertension (high blood pressure), heart disease, stroke, cancer, diabetes and other serious health problems. Conversely, malnourishment is also a grave health risk, particularly in the developing world. The significance of weight gain or loss is related to a person's usual body weight (UBW), which is defined as that person's most frequent body weight. For example, a weight change of 12 pounds in one month would be considered significant for someone of low or average UBW but would not be significant for an obese person. Use past weight measurements and/or medical records to determine your most frequent body weight. This is your UBW. Weigh yourself to determine your current body weight. 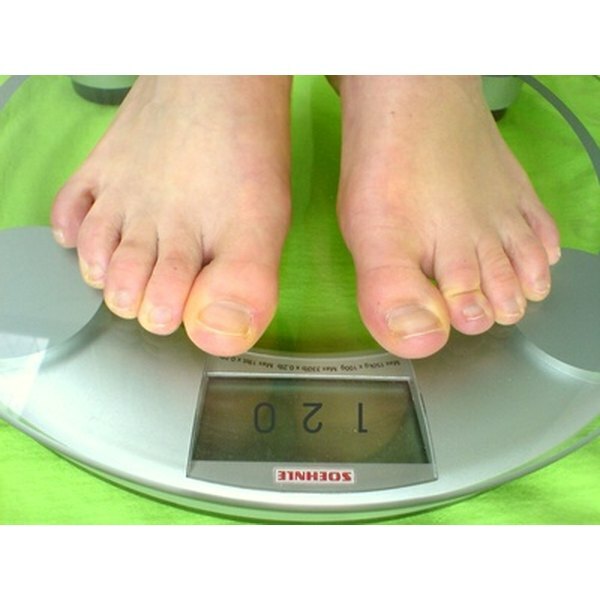 Try to weigh yourself under the same conditions (e.g., fasting or after a meal, with or without shoes) under which your UBW weight measurements were taken. Determine the duration of your weight gain or loss, i.e., the amount of time since your weight has consistently been close to your UBW. Ideally, this duration should be between one week and six months. Six months---moderate: less than 10 percent; significant: 10 percent; severe: more than 10% percent. Weight measurements should be adjusted for swelling, dehydration or pregnancy. Consult a doctor before attempting to gain or lose a significant amount of weight. Consult a doctor immediately if you have involuntarily gained or lost a significant amount of weight. Percent weight changes characterized as moderate could be significant for individuals with special circumstances or for individuals with consecutive periods of weight change.